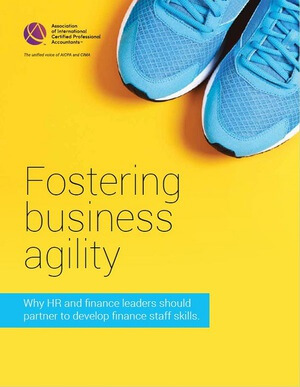 Outlines the talent management best practices HR and finance leaders can take to develop their finance staff and help the business respond to changing conditions and emerging opportunities. With rapidly changing global markets, highly effective learning is "critical" to organizational success. 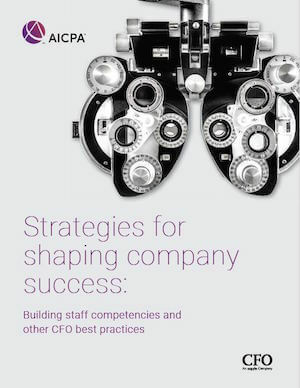 AICPA and CFO Magazine share best practices from top companies. In this Q&A, RSM US LLP shares its experience at the AICPA Women's Global Leadership Summit, as well as best practices regarding diversity and inclusion initiatives. 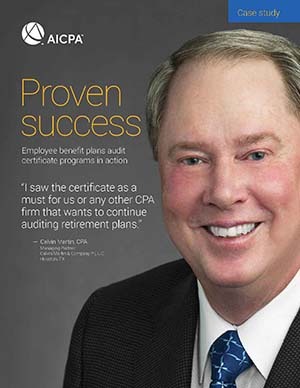 Read how the AICPA NFP Certificates equip staff with the most up-to-date standards and content. 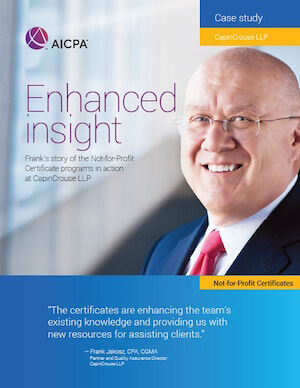 Read how AICPA Tax Staff Essentials has helped this top 50 firm keep on top of constant change and get an edge over the competition. John Dunavan, director of learning and development, shares his educational strategies and best practices in this Q&A. See how investing in employee learning, specifically EBP audit certificates, helped this firm prove staff competencies and gain a competitive edge. 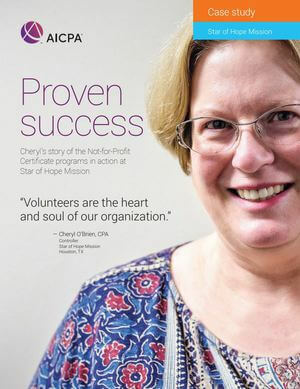 The Star of Hope Mission educates staff on the unique requirements of accounting and financial reporting for non-profit organizations – and show donors their contributions are in good hands.